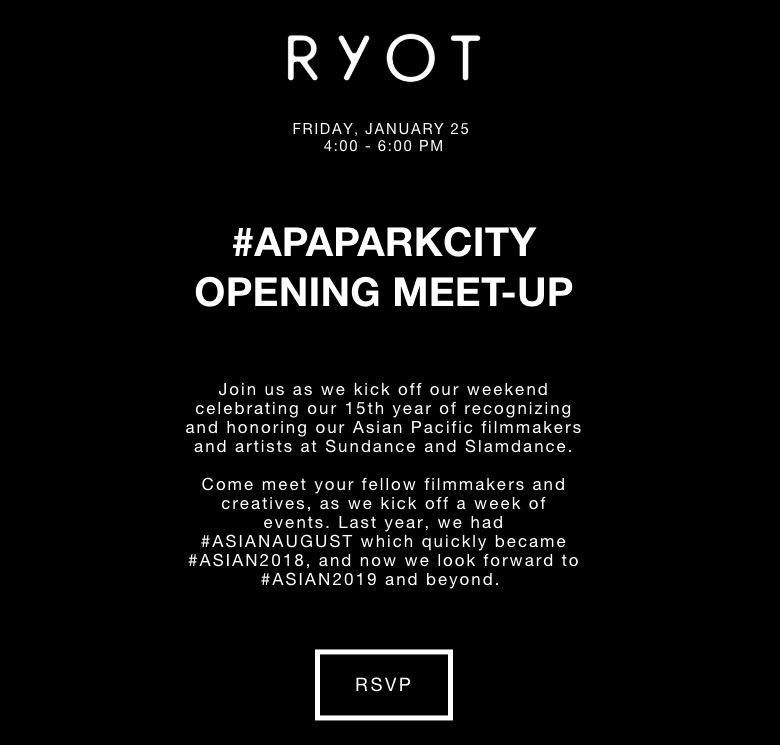 Join us as we kick off our weekend celebrating our 15th year of recognizing and honoring our Asian Pacific filmmakers and artists at Sundance and Slamdance. Come meet your fellow filmmakers and creatives, as we kick off a week of events. Last year, we had #ASIANAUGUST which quickly became #ASIAN2018, and now we look forward to #ASIAN2019 and beyond.